Audio Technica ATH-T400 review | What Hi-Fi? 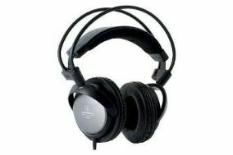 Audio-Technica's latest offerings, the ATH-T400s, sit at the more affordable end of the headphone spectrum. Working in their favour is the padded, sliding headband and soft ear pads, which produce a comfortable fit. Vocals sound natural, and there's no hardness in the treble. The only thing missing is the brilliance of best rivals at the price.